Do I look excited? You can see why! 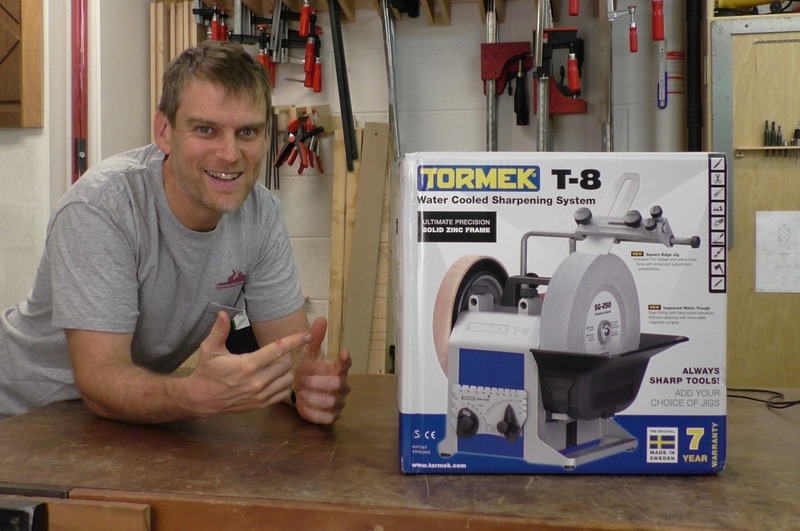 The brand new Tormek T-8 Sharpening System has arrived into my shop for a video review. I can’t wait to unbox this machine and check it out! Magnetic Scraper – a magnetic scraper for the water tray should keep everything operating smoothly! Cambered Blades – the new straight jig, SE-77 can slightly camber blades now. Check back soon for a full video review!